View the entire table of contents for the Dec. 31, 1998 issue. December 31, 1998 Sunken Champagne Fetches Record Price at Christie's London Sale By Peter D. Meltzer Christie's sold over $300,000 worth of fine and rare Champagne at its Oct. 22 auction in London, breaking two world records in the process. 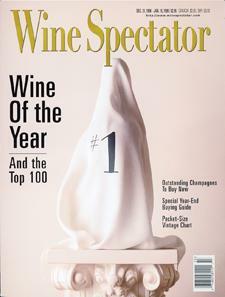 For the full article, check out the new issue of Wine Spectator, on newsstands December 31, 1998.